Cloud computing, enterprise mobility, consumerization, and shadow IT have conspired to create serious security and compliance risks for enterprise IT organizations. Therefore, CIOs are in dire need to minimize these risks - while still supporting the fast, convenient, easy-to-use services and workflows the end users have so quickly gotten used to. 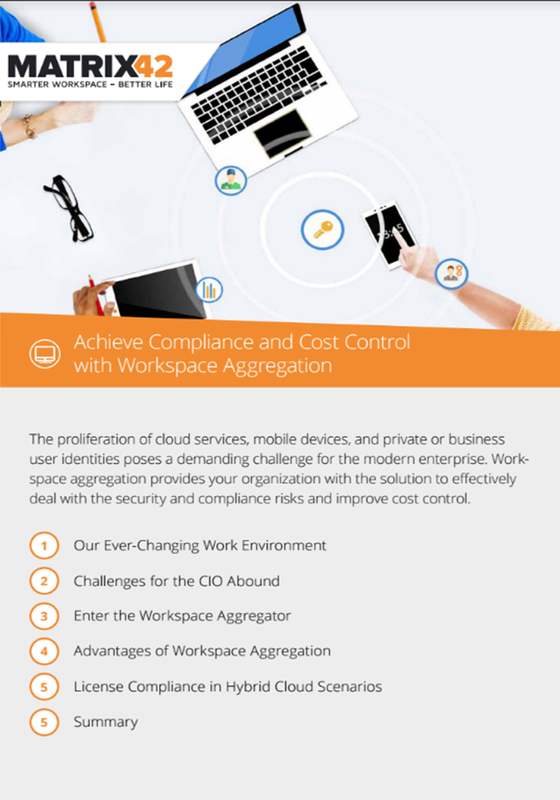 In this white paper you'll find out how Matrix42 MyWorkspace can help you alleviate the usability, manageability, security, cost control, and license compliance issues described above.